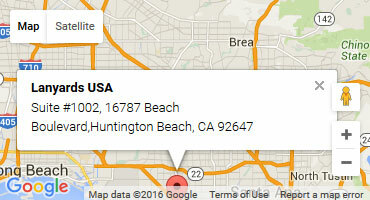 Welcome to Lanyards USA! We are your one-stop shop for custom lanyards at wholesale prices. 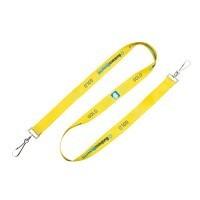 We supply various lanyards ranging from simple to complex in customization. Whether you are in need of one-color screen print for an event or a detailed, dye sublimation print with your branding and company logo emblazoned along the material length (in a stunning full color print); we can do it! For our customers with time restrains, in need of lanyards right away, we can supply a range of plain, non-branded ID lanyards in stock for swift delivery. With our 5 day rush options and America's lowest prices, why settle for anything less? Contact us today! Our team is on standby now to serve you. 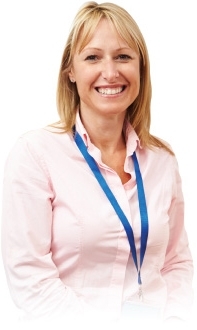 We will deliver a prompt turnaround on quotations on a carefully selected range of lanyards, identification and promotional items. 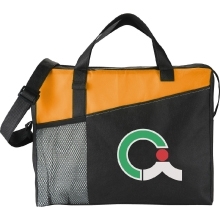 These conference tote bags are very usable and extremely durable, custom branded with your business logo or details. enquire today! Custom lanyards can be completely customized to suit your business or brand, unbeatable price & quality. Browse now! 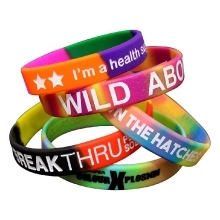 Event Wristbands are a highly affordable way to spread your message. Made from hypo allergenic silicone in a range of colors. Browse now. These ID Cards are durable and long-lasting, with options such as sequence numbers, magnetic strips or chips, barcodes. Browse now! 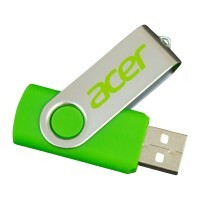 These Custom USB Drives have a large range of storage capacities and comes with vivid, eye-catching branding options. Enquire today! We employ an in house graphics team and maintain our own manufacturing plant to produce items quickly and easily. As a result, customers find we are able to offer hundreds of materials and fitting combinations to meet their specific needs. One customer may select a flat, simple polyester lanyard that features a j-hook suitable for handling keys. Others prefer a deluxe satin applique lanyard complete with a short release, a deluxe swivel clip, an anti strangle safety breakaway and a full photographic print. Clients love the fact that they are only limited by their imagination when ordering with us, as we can work with any requests. You no longer have to settle for what you are given, as we ensure you get exactly what you want. In fact, our design team puts together a prototype and allows you to review it and make changes until we get it right. Only when you are satisfied will the ID products be produced and supplied. We allow you to design and personalize our products in a variety of ways. Add a message, slogan or logo to their personalized lanyards and select everything from the thickness of the material to the fittings used to accommodate your badges or reels. If you find you need assistance with this task, our staff members are ready to help. For those who have a .png file, we can work with this to print the design. Furthermore, we can weave a design into the lanyard material during the manufacturing process using a process known as jacquard weaving. This option is great for people who have to wash uniforms regularly or those that are subject to hard use, as the weaving process eliminates any concerns regarding the print wearing off or being damaged by heavy duty detergents. 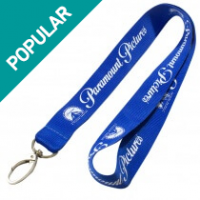 Why Choose Lanyards USA For Your Promotional Needs? We employ an in house graphics team and maintain our own manufacturing plant to produce items quickly and easily. As a result, customers find we are able to offer hundreds of materials and fitting combinations, along with id holders and id badge solutions to meet their specific needs. One customer may select a flat, simple polyester lanyard that features a j-hook suitable for handling keys. Others prefer a deluxe satin applique lanyard complete with a short release, a deluxe swivel clip, an anti strangle safety breakaway and a full color photographic print. Clients love the fact that they are only limited by their imagination when ordering with us, as we can work with any requests. You no longer have to settle for what you are given, as we ensure you get exactly what you want. In fact, our design team puts together a design mockup and allows you to review it and make changes until we get it right. Only when you are satisfied will the ID products be produced and supplied in ultra high quality. 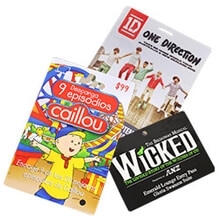 One reason customers turn to us again and again for their lanyard and badge holder needs is our wholesale rates, as nobody likes spending more than they absolutely have to. 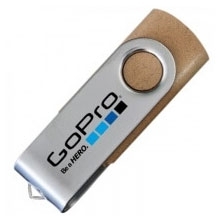 We offer the lowest prices on wholesale and promotional solutions in America today. We guarantee this! If you find a better price on an ID solution that is of the same quality as ours, we'll happily beat the price, as you deserve nothing less. Bear in mind, however, that our products are position printed, as opposed to repeat printed. Furthermore, our products come with double screen printing or dye sublimation to ensure the colors don't run, and they feature swivel clips. When submitting information on a competitor's quote, make certain it is in writing and that this quote includes any applicable taxes and delivery charges, as we consider all information when comparing quotes. Our goal is to ensure you get the best price possible without sacrificing quality in the process. 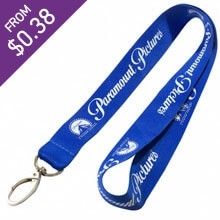 Printed Lanyards serve numerous purposes within companies, volunteer organizations and charities of all sizes, as they can be used to identify staff, provide access to secure facilities or areas of a facility or for fundraising purposes. VIP access may be restricted at events or backstage passes provided to attendees at concerts with the help of badge holders, and many companies now use these products for promotional purposes. In addition, they may be distributed at sporting events with co-branding of the sports team and their sponsor logo. Contact details may be provided also, and these items allow the team to command a higher price and bring in larger corporations for their sponsorship deals. What many don't realize is these may be used for a variety of other purposes also. Do you work in an organization that is bound by OHS and safety guidelines? Then our safety clip range or safety high viz items are the perfect solution for you. For people who work in night road works, construction or any kind of remotely dangerous role we always recommend a safety clip fitting as an additional extra. Family reunions are designed to bring individuals together who might not be able to see each other regularly. Consider purchasing badge holders for family members. When at a park or other public location, identifying someone who is part of your group will be easy. In addition, you won't constantly be having to ask someone for their name. It's right there for all to see, allowing everyone to feel more comfortable conversing with family members who are also complete strangers. These are only a few of the many ways our solutions can be put to use. Once you see how versatile they are, you'll find you want to purchase some for other purposes. Raise money for a church, promote a cause or use them to increase awareness. The diversity of the product, the massive range of fittings and accessories and more are only a few of the many reasons people are relying on customized and personalized for everyday use. The safety and security of the products are just added bonuses. Customers often wonder if they will be able to get the ID solution they need in time for their event. For those choosing polyester or nylon, we offer five day rush service. For those who need products overnight, we offer in stock range. We are able to assist those in need of products in an emergency thanks to having our own factory, and we can put the order into production immediately. Call use before 1PM and we'll have your order dispatched overnight. We do everything we can to provide top level customer service and we welcome your review of our company on any social platform or review site. Regardless of what you need when it comes to ID accessories and solutions, we can be of help. 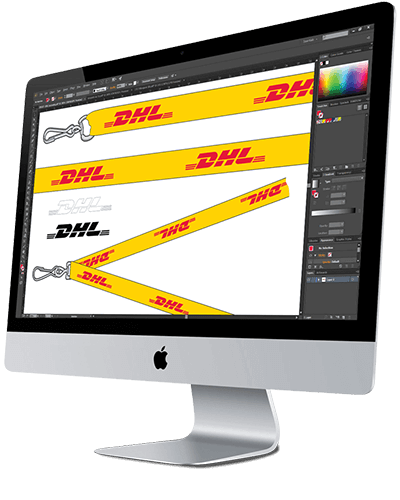 Contact us today to receive a 100% obligation free lanyard quote and mockup. Be sure to ask about our complete range of products when doing so. We can also assist with ID card holders, badge pullers, camera straps, pet leads, name badge and printed plastic cards. Each company or organization has their unique needs and we recognize this. For this reason, we offer numerous products to satisfy all. No two print jobs are the same. How can we operate a fixed price list on custom branded promotional items when there is so many variables to every order? print sides, print colors, discount based on quantity ordered etc. There are so many things that affect your item price per unit. So instead of displaying and telling you all the individual costs and leaving you with the task of calculating everything yourself. We handle the entire thing for you from start to finish, and all you need to do is complete a ten second enquiry form. We then send you a fully itemized, written quote in minutes. This displays all costs from the design stage which is free, to production and delivery to your door. And all we need from you is ten seconds of your time to get the ball rolling. From there our designers will draft you a 100% free visual of your items for your approval, we can amend until you are happy to proceed and then provide an invoice which can be paid via bank transfer or credit card over the phone. This is how we ensure the absolute maximum value to every single product we produce for our clients.